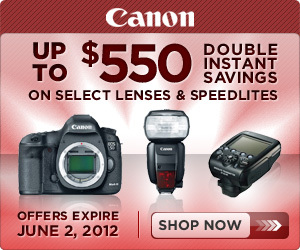 If the performance of this lens is good you may not need to carry around another lens at all. Good for stills and video, and made for a DX sensor. Man this seems like a dream. There must be a catch right?? Under 1k? Seems pretty reasonable. I will be investigating this much further. This would be great as a wedding setup. You’d never have to change a lens and you’d be ready for anything. Building on the popularity and versatility of Nikon’s telephoto zoom lens lineup which includes both the NIKKOR 18-200mm f/3.5-5.6 and 28-300mm f/3.5-5.6 VR lenses, the new 18-300mm f/3.5-5.6G ED VR lens is Nikon’s longest focal range ever, with an astounding 16.7X ultrahigh-ratio zoom range. The DX-format 18-300mm VR lens is surprisingly compact, lightweight and covers a focal range from wide-angle 18mm to super-telephoto 300mm, equivalent to a focal length of 27mm to 450mm in FX/35mm format. At the 300mm focal length setting, the lens’ large f/5.6 aperture enables photographers to shoot at faster shutter speeds with shallow depth-of-field. This new super telephoto zoom lens is ideal for taking stills when travelling and for all around general photography including landscapes, portraits and distant subjects. The 18-300mm lens is also excellent for recording HD video as it can be used for wide establishing shots, medium close-up shots and extreme telephoto sequences when the users want to separate the subject from the background. 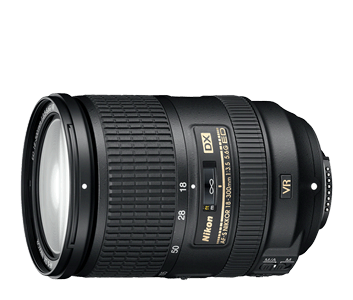 Nikon launches AF-S DX Nikkor 18-300mm F3.5-5.6G ED VR superzoom lens: Digital Photography Review.